I did this a long time ago, back in December as an xmas gift for a friend. 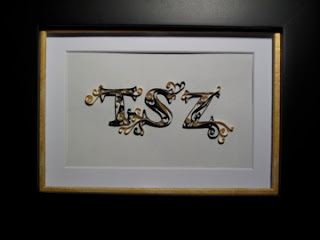 It's her name, 'Tsz" quilled in her favorite colors, black and gold. Am sure she loved it - nicely done! Very nice work. I'm sure she was thrilled with it. What width of quilling strips did you use? Were they regular strips or cardstock? 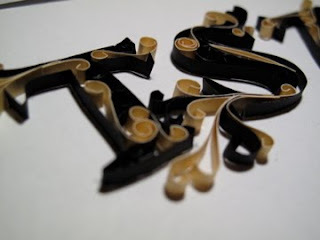 I believe I was using regular 1/4" strips of quilling paper. I haven't tried using cardstock. Do you find it is better?